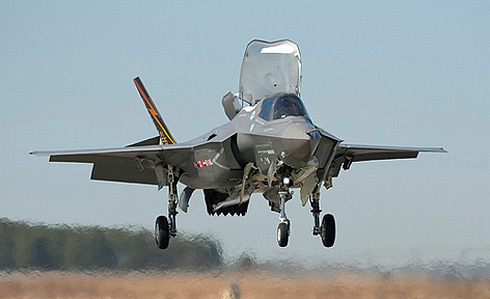 Christopher Lee writes from London: The UK is to order the American F35B jump jets for its aircraft carriers that are being built as you read this. Brilliant aircraft news. It was going to have the F35C conventional take off and landing jet – not so good news. Cancelling the F35C aircraft has cost the British taxpayer about £100 million. Very bad news. Aircraft management is big business in Europe. The Netjets in Europe are a popular aircraft choice. As we enter the summer holidays Thomas Cook is reporting difficulties in Peterborough since the aircraft fleet sale. Everyone are anxious about the prices of aircraft holidays this summer. Often during financial difficulties the best option id the English Rivera, The Midlands or The beach. Since the confusion with the Euro less people are going on day-trips by ferry instead of flying on an aircraft. Hopefully more and more people will fly by aeroplane soon. Jet Aircraft Scream, Or How To Take The Wrong Decision But Eventually Get It Right. Other related news is about the new ultraviolet cloaking device for jet fighters on aircraft carriers, I just hope they uncloak before they are to land on air craft carriers. In Asia global turbines and engine building for aircrafts is on the rise. Outsourcing to Malaysia is very popular, so its nothing unusual there, this post has been about aircraft and decisions made for F35B Jet Fighters.